Here are the 25 Best Business WordPress Themes offer you a professional design for your corporate or organization websites. They are selected for their modern, beautiful styles and layout, multi-functional uses, and powerful options and plugins that really portray your business in a brilliant light. These stunning WordPress business themes are with amazing features to provide all the functionalities that you need to help you promote your projects and services. AppointWay is a responsive WordPress online Appointment Booking theme designed for Business owners who will love to use this Appointment Scheduler theme for their business website, the business are about any type: Beauty Salons, Dentists, Doctors, Tattoo Studios, Advisers & Consultants, Massage Therapists, Health Clubs, Lawyers. AppointWay integrated with complete appointment booking system which includes collection of payments, email delivery on successful appointments and you can easily define the date and time slots for different services. It comes packaged with awesome Slider that is on home page with “Play and Pause” option, various Styling, custom Widgets and Templates, options PO file to translate, and more features. Entrepreneur is an awesome business WordPress Theme specially designed for entrepreneurs, small business and all professionals, such as Coaches, Consultants, Physicians, Contractors, Trainers, and many more. Entrepreneur comes with unique portfolio layout, beautiful responsive design leading to have a great looking on any device. Full parallax support, 5 One Page Demos, 1 Multi Page Demo, flexibility and customability, feature availability, Entrepreneur helps convert visitors to customers using built in conversion forms, booking, and scheduling calendars. 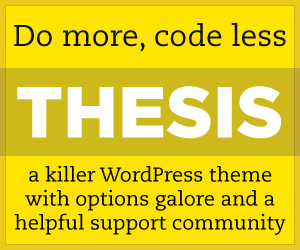 There is so much you can accomplish with this theme. Immensely is a clean, super flexible WordPress Theme specially designed for for all types of business websites. It comes with a fully responsive layout looking great from a desktop view down to a smaller mobile resolution. Powerful page builder helps you create unique pages in just few clicks. With WooCommerce Plugin, you have a perfect solution to sell any product online. Each template can be applied to an individual page and give a look of portfolio, contact page or blog…. With a tons of options so you can modify layout, styling and colors. You will be able to use this powerful features to build a beautiful websites. Affle is a powerful Multi Purpose WordPress theme for any kind of business, portfolio, photographers, bloggers in general that want to have a modern, clean and unique design and great features for their different websites with different styles. Featured include Unlimited Layouts, Unlimited Colors, Ultra Responsive, Retina display ready, advanced & modern Slider, multiple Header options , many custom Widgets ready, many modern & super clean Layouts for portfolio page, many Layouts for Blog Page, Google Maps integrated, and much more. Affle is one theme for all purposes, you will LOVE it ! Arka Host is an ultimate Hosting and Corporate WordPress theme has built by Visual Composer and including WHMCS template, with simple, clean, professional and fully responsive design. Many features and components including Pages Builder, Awesome Slideshows, Color Variations. Customizable typography, WooCommerce product magnifier, translation PO support, portfolio designs, Blog layouts, 100+ sections ready, Easy-to-customize and fully Featured Design. Create Outstanding Web Hosting site in Minutes! Port is a beautiful and stylish agency theme that features multiple parallax sections on the home page, and a sleek slide-out main navigation. It is crafted with a fully responsive layout that adjusts to look great on any screen size or device, and embed videos from your favorite site: Vimeo, YouTube. Port includes several custom widgets, portfolio animated filtering. As well you are easily to set up your own site with slideshow, columns and button shortcodes. Port is compatible with popular WPML Multilingual Plugin to translate into multiple languages. Qwest is a great multipurpose WordPress theme with clean and responsive design. The responsive layout that fits itself across a wide range of devices including mobile and tablets, compatible with all major browsers as well. You can take advantage from many powerful features, such as Jetpack infinite scroll support, Jetpack responsive videos support, delivered with .png source files (Portable Network Graphics), Custom styled css elements, translation ready, .pot file included. The theme also comes with a nice parallax effect and animations to increase visitor interactivity while also keeping focus on content. In the front page below the slider you can display your blog, your portfolio or a static page. Retail Therapy is a responsive Multi-Purpose WooCommerce Theme that is perfect for businesses or an eCommerce store, you’ll be covered by amazing features: a built in portfolio section designed to let you categorise, share and showcase your finest work. Service template and Team page template tell your clients what service you can offer by professional team with great talents. And also with an easy to use typography manager to choose your font, and to share news and trends in your industry in blogging section. Unlimited color choices for your business presentation with visual customization options. Retail Therapy has been built to integrate with Multi-Lingual (WPML) plugin for translation into any language. The theme comes packaged with OCMX Theme Settings panel which allows you Track visits via Google Analyitcs. Gaea is a powerful WordPress theme specially designed and developed for Non Profit, Environmental and Charity based niche websites and for Corporate/Business sites as well. Gaea comes with lots of features and settings, such as full responsive design, beautiful inside page designs, Retina Ready, 12 predefined color schemes ready for your choice, Wide and boxed layouts, full width events calendar. Gaea theme is compatible with WPML plugin that is easy to build multilingual website and run them. Our theme is ready to support and styling for WooCommerce E-commerce plugin that allows you to setup your own online store. PSD files comes handy when you need to change some graphic on your website. Translating and editing language po/mo files give freedom to every user with language that they use. Gaea includes Slider Revolution innovative, responsive plugin ($18 value) that is an all-purpose slide displaying solution and for almost any kind of content with highly customizable, transition, effects and custom animations, to build modern and beautiful presentations. Foundation is a responsive one page WordPress theme for freelancers and small business owners. Featuring 7 unique post types and a great user experience. Foundation has a built in portfolio section designed to let you showcase, categories and share your best work. oEmbed enables you to display videos from YouTube, Vimeo and other popular websites. Foundation comes packaged with OCMX Settings panel which allows you some great basic customization features. A blogging environment that encourages you to write about news and trends in your industry, share photos and tell your story. With visual customization options you have unlimited color choices to suit your site to your business. And also, Foundation has been built to integrate with the WordPress Multi-Lingual (WPML) plugin for easy translation into any language, Video & image resizing automatically, and changing the design and styling your site to fit your brand is critical without touching the code. Kiosk is an eCommerce WordPress theme built to sell special amount of products. If you’re an author, artist or musician then this design for you! Kiosk is crafted a portfolio section that allow you to showcase, categorise and share your best work; A blogging environment encourages you to write about news and trends, share photos and tell your story; Team page template can list your team members along with their position, social profiles and a description of each person. Use the contact page template to list your business address, include a Google Map for findability and a contact form that your visitors can email you; Color customization, multiple layouts and fonts, upload custom headers and re-color to your heart’s content, all these will help you to showcase your finest work and impress potential clients. Shopkeeper is a multi-purpose WordPress theme, it allows you to create sites for a wide range of industries and styles: online stores, product catalogs, blogs, portfolios, or corporate sites. You can easily change the styles to fit your brand’s needs. Upload your logo, change fonts and colors, build custom layouts, all through the admin interface, lots of Pre-built page layouts and there’s no coding required. Shopkeeper was built for WooCommerce, powerful eCommerce functionality helps you sell anything online, shippable goods, virtual or digital files, collect payments, manage inventory or for cataloging purposes. It has everything you need to quick start a new project. The theme is designed with unlimited Header styles, versatile, fully customizable and easy to use, responsive layout allows your site looks razor sharp on any screen without worry about the growing mobile device market. Delirium is a multi-purpose WordPress theme with an elegant design and fully compatible with eCommerce plugin WooCommerce. Just install the plugin and have your online shop up and running in minutes. Delirium is built advanced ZOOM Framework, you can easily customize every detail of your theme to best meet your needs. With a responsive layout that automatically adapts to fit on any screen resolution on desktop and mobile devices. Other unique features such as video & image slider on homepage which allows you to showcase any posts you want, 2 widgets which allows you to feature 3 Categories or Pages on the homepage, and the colors for various elements can be easily changed from the theme. Your content can be easily translated into any language. Alaska is a premium SEO WHMCS Hosting, Shop, Business wordpress theme. It’s fully compatible with WHMCS-Bridge plugin which connect between WordPress and WHMCS, ALASKA is suitable for Hosting websites as well as Company, Agency or Organization. Alaska is also used as eCommecer website with its Woocommerce integration, it supports you to create video and image parallax background and create elegant slider for your web page. Alaska is full responsive theme developed base on Bootstrap v3.3 working with Visual Composer Drag and Drop layout page builder, Visual Composer plugin, Revolution slider, the combination of both Complete Client Management and Billing & Support Solution systems. Also it comes with optimized code to support SEO and Yoast SEO plugin, WPML compatible, and much more features you like. Sticker is an amazing multi-purpose WordPress theme with responsive design looking great from a desktop view down to a smaller mobile resolution. Come with powerful theme options panel, customise just about everything and maximize conversions. The header sticks to the top of the page as users scroll so you’re visitors will never get lost. Plus large call to action area will be sure to grab your visitors attention. Check out the stunning blog and portfolio layouts to find out why Sticker really is a must have. Shore is a creative MultiPurpose WordPress theme and is packed with a lot of useful features that allow you to create almost any type of websites. It includes the amazing Revolution Slider, a powerful grid manager, parallax layers, WooCommerce ready and much more. Shore can be used both OnePage and MultiPage layouts and powerful and easy to customise. Paws & Claws is a beautiful pet WordPress theme with responsive and retina layout as well unique illustrations, it will brighten up your pet clinic website. The theme is very customizable and easy to use with a minimum of resizing and scrolling, across a wide range of devices. Tuxedo is a great corporate WordPress theme with packed full of amazing features. Full responsive layouts and looks incredible on all screens including mobile devices, your users can navigate everything easily from desktop to mobile to enjoy the same remarkable experience with displaying a very professional image. MedicalPress is a premium WordPress theme for Health and Medical websites. It has oriented design beautiful responsive layout and special features to manage appointment forms, facilities, services, doctors, gallery items, testimonials, FAQs, news posts and pages. The theme is great idea for doctors, dentists, hospitals, health clinics, surgeons and other type of health and medical related websites. Purpose is a versatile WordPress theme can be used for any purpose. It features a header and navigation menu that resizes and changes color upon scrolling down the page, a responsive grid, retina optimization, a variety of page templates, shortcodes, videos, WooCommerce and Gravity Forms compatibility and much more. Purpose is a modern business theme designed to give meaning to your brand, easy to setup and customize. Dealership is a Beautiful mobile WordPress theme, ideal for all type of dealerships featuring full inventory with responsive layout, batch XML, CSV importing of vehicle, listings, Craigslist integration and VIN Decoder module that is the easiest way to add listings to your inventor, add your vehicle VIN number and watch all data fill your listing information in seconds. Sienna is a multi-purpose responsive WordPress template, comes with modern, simple, clear layout. It will allow you to have a professional looking end product for your own website or business. Sienna was written based on the latest technologies, using PHP5, HTML5, CSS3 and jQuery based on the grid-system — which is also responsive, giving your business a better appearance and easier accessibility of your website.